What’s your perfect riverboat adventure? Maybe it’s a romantic evening for two under the stars, or a leisurely Sunday brunch with the family. Perhaps you and your friends are looking to just experience the sites along the river. Whatever motivates you to travel along the Ohio River, BB Riverboat Cruises can make your dreams come true. 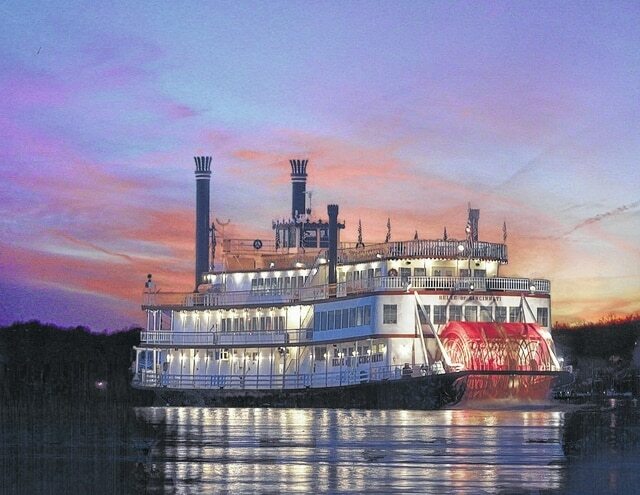 BB Riverboat Cruises will offer four cruises in Portsmouth on July 23 and 24. On Thursday, July 23, there will be a dinner cruise from 7:30-9:30 p.m.; On Friday, July 24, a lunch cruise will sail from 12 noon to 2 p.m.; a sightseeing cruise from 3:30-5 p.m. and a dinner cruise from 7:30-9:30 p.m.
BB Riverboat Tours has been doing a summer tour for over 10 years to river cities that are a little too far away from Cincinnati to regularly take the tour. Bernstein said Portsmouth has been one of their stops every year during the summer tour and has always experienced a successful turnout. Bernstein said reservations can be made by going to the company’s website – www.bbriverboats.com/summertour or by calling 800-261-8586.